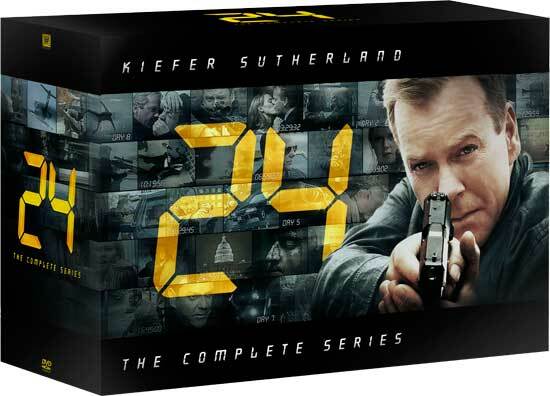 The 24: Complete Series DVD box set is Amazon’s Deal of the Day, on sale for just $114.99 which is a whopping 67% savings off MSRP. With Father’s Day rapidly approaching, you might want to give the gift of 24. 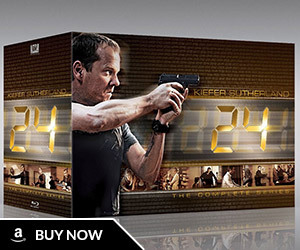 There are 56 discs with all eight seasons and the 24: Redemption television movie, plus a bonus disc with exclusive special features. 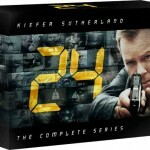 You can read our 24 Complete Series DVD box set review more more information on what’s included. Although we mentioned that the set was barebones – lacking any creative packaging or trinkets, and without many extras unique to the box set, the cheap (temporary) sale price of nearly 70% off makes that way less of an issue.You can purchase it here, but act fast – this deal is valid for today only. 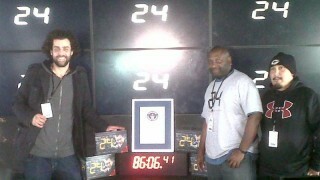 As Jack Bauer would say, you’re running out of time! Total waste. There will be a BluRay Complete Series Set in the future. There’s absolutely no reason to buy DVD. 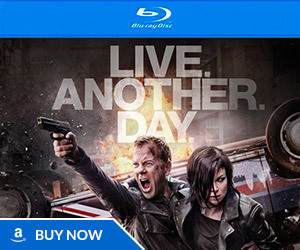 All feature films, which are shot on film, will be on BluRay.  Film resolution is at least 2-3x higher than 1080p (current HD). Television series that were made after the mid-90s should be able to make the transition to BluRay quite easily. The only thing to buy on DVD would be older television series that were shot on video (for broadcast) and would need remastering (expensive) to be properly converted to BluRay. Star Trek being one good exception because its so popular enough that it is being carefully remastered with new special effects. The old special effects would not translate well at all to BluRay because they were put in with video (standard definition, low res). So even with Star Trek, the DVDs are worth getting because they will never truly be the original episodes you remember on BluRay due to the remake of visual effects (think Star Wars 1977 and Star Wars Special Edition 1997). 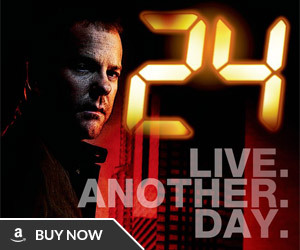 I love the 24 series i have been trying to find it at a great deal, but it out of my budget range. But i keep checking in stores and on line to see if I can fine my price range. So please help desperate 24 fan.